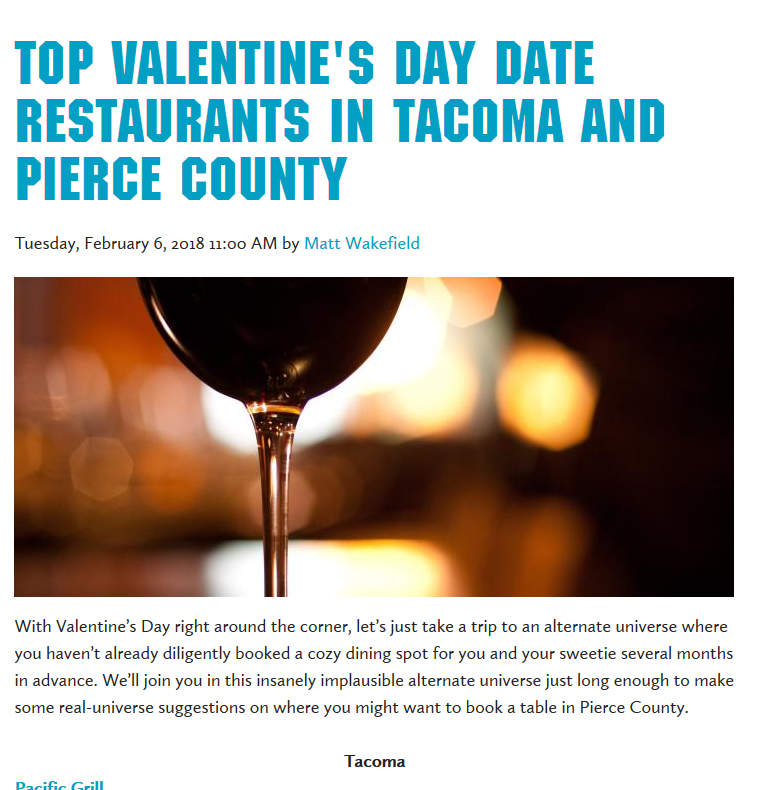 Travel Tacoma + Pierce County has picked their top ideas for Valentine’s Day date restaurants in the area. Two in Sumner make the list. Which two? Click here to find out. And if you eat anywhere in Sumner on Valentine’s Day, we’d (ahem) love it if you shared a picture on Instagram and included #SumnerEats!